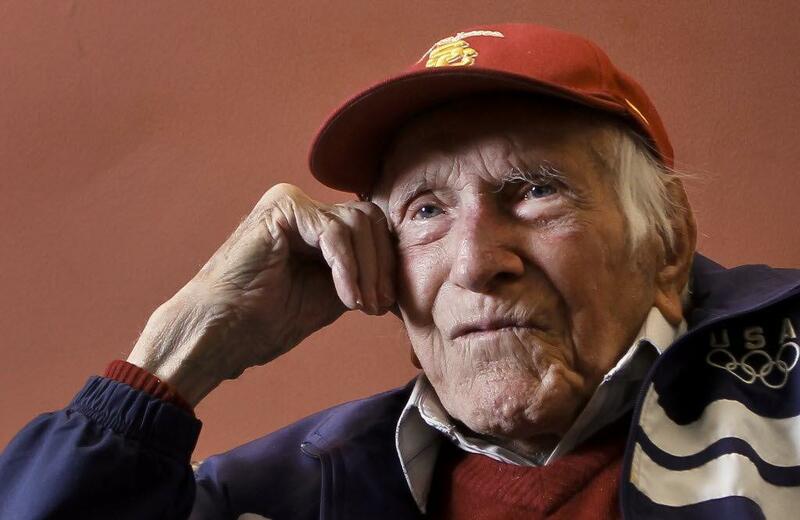 Last week, the world lost a true hero and true example of Christ: Louis “Louie” Zamperini. He was 97. He ran in the 1936 Berlin Olympics, he was a World War II hero and POW, and he spoke on forgiveness every chance he had — even going and witnessing, after the war, to the very Japanese prison guards who severely beat him for two years. He describes a letter he received recently from a man who had been fired from his job. “This man was a Christian and forgave everyone else in his life, but he had a hard time forgiving the boss who fired him. He hated the man. But then he read in ‘Unbroken’ how I forgave the POW prison guard.” Now this man has not only forgiven his boss, he is praying for him. Zamperini’s biography, Unbroken, became a New York Times No. 1 bestseller in 2010. A movie by the same name will be released on Christmas Day of this year.